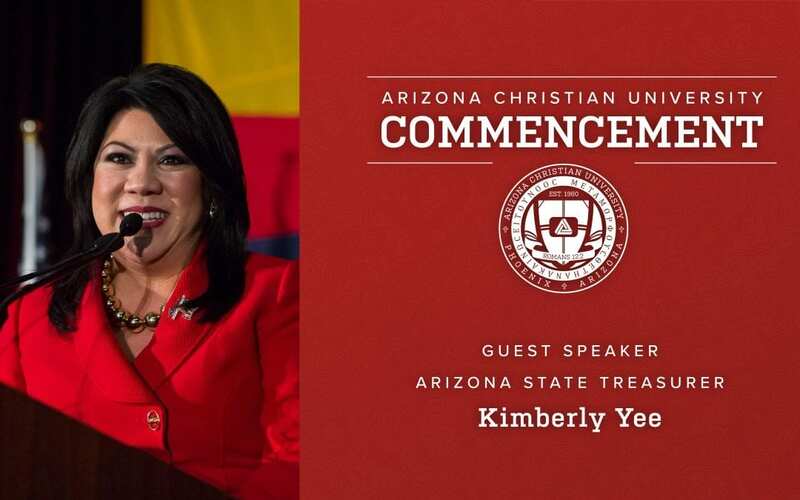 Kimberly Yee is a native of Phoenix and served in the Arizona Legislature from 2010 until her election to statewide office in 2018. She formerly served as the Arizona Senate Majority Leader and was the first Asian American woman elected to serve in the Arizona Legislature in the state’s history. Yee is a graduate of Pepperdine University, earning a Bachelor’s Degree in Political Science and a Bachelor’s Degree in English. She also holds a Master’s Degree in Public Administration from Arizona State University’s School of Public Affairs. Kimberly Yee has committed her professional life to public service for 22 years. She has been a strong advocate for public education in Arizona, helping to improve and advance the state’s public education system. In the Arizona Treasurer’s office, Yee works to promote ethical, sound fiscal conservative principles and advance laws protecting hard-working Arizona citizens. Kimberly Yee is a wife, mother and small business owner. She enjoys spending time with family and friends and volunteering in her church and community. Graduates and their families are also invited to the Senior Celebration and Dessert Reception on May 9 at 6 p.m. in the ACU Fultz Memorial Gymnasium. For more information on Commencement-related activities, click here.